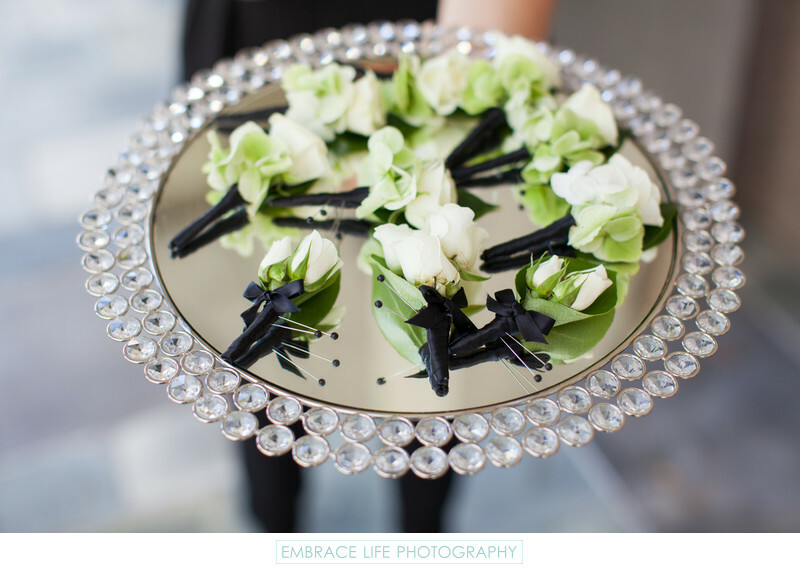 At the Los Angeles wedding venue, Skirball Cultural Center, coordinator Linda Howard presented the groom and his groomsmen their boutonnieres on a round, mirrored tray surrounded by two rows of round crystals, elevating the wedding experience for her client. The simple, white roses are backed by a single green leaf and the black satin ribbon on the stems gives them a classy style fitting for the elegant, modern wedding. This incredible L.A. wedding was featured by Inside Weddings magazine.